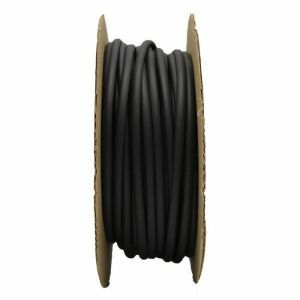 Select Diameter 1/8" 3/16" 1/4" 3/8" 1/2" 5/8" 3/4" 7/8" 1" 1-1/4" 1-1/2" 1-3/4" 2" 3"
1/8" 165 FT/SPOOL N/A HSNEO-0125 0.125" 0.062" 0.028"
3/16" 165 FT/SPOOL N/A HSNEO-0188 0.188" 0.093" 0.030"
1/4" 165 FT/SPOOL AMS-DTL-23053/1-101 HSNEO-025 0.250" 0.143" 0.035"
3/8" 100 FT/SPOOL AMS-DTL-23053/1-102 HSNEO-0375 0.375" 0.211" 0.040"
1/2" 100 FT/SPOOL AMS-DTL-23053/1-103 HSNEO-050 0.500" 0.286" 0.048"
5/8" 100 FT/SPOOL AMS-DTL-23053/1-104 HSNEO-0625 0.625" 0.357" 0.052"
3/4" 100 FT/SPOOL AMS-DTL-23053/1-105 HSNEO-075 0.750" 0.428" 0.057"
7/8" 100 FT/SPOOL AMS-DTL-23053/1-106 HSNEO-0875 0.875" 0.500" 0.065"
1" 100 FT/SPOOL AMS-DTL-23053/1-107 HSNEO-100 1.000" 0.570" 0.070"
1-1/4" 50 FT/SPOOL AMS-DTL-23053/1-108 HSNEO-125 1.250" 0.714" 0.087"
1-1/2" 50 FT/SPOOL AMS-DTL-23053/1-109 HSNEO-150 1.500" 0.857" 0.095"
1-3/4" 50 FT/SPOOL AMS-DTL-23053/1-110 HSNEO-175 1.750" 1.000" 0.107"
3" 50 FT/SPOOL AMS-DTL-23053/1-112 HSNEO-300 3.000" 1.710" 0.125"
Neoprene is known for its good fluid and solvent resistance, abrasion resistance, and outstanding low temperature flexibility. 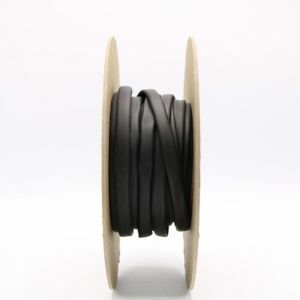 Neoprene heat shrink tubing is used for insulation, strain relief and abrasion protection on cable harnesses and wire bundles in the military and aerospace industries. N/A 1/8" 0.125" 0.062" 0.028"
N/A 3/16" 0.188" 0.093" 0.030"
101 & 201-0 1/4" 0.250" 0.143" 0.035"
102 & 202-0 3/8" 0.375" 0.211" 0.040"
103 & 203-0 1/2" 0.500" 0.286" 0.048"
104 & 204-0 5/8" 0.625" 0.357" 0.052"
105 & 205-0 3/4" 0.750" 0.428" 0.057"
106 & 206-0 7/8" 0.875" 0.500" 0.065"
107 & 207-0 1" 1.000" 0.570" 0.070"
108 & 208-0 1 1/4" 1.250" 0.714" 0.087"
110 & 210-0 1 3/4" 1.750" 1.000" 0.107"
111 & 211-0 2 " 2.000" 1.140" 0.110"
112 & 212-0 3 " 3.000" 1.710" 0.125"
113 & 213-0 4 " 4.000" 2.280" 0.140"